I’ve been cooking with basil for years … in the summertime, there’s nothing like a Caprese Salad with fresh tomatoes from the garden, some mozzarella, balsamic vinegar and fresh basil leaves. Or pasta topped with lightly sautéed tomatoes, mushrooms, garlic and basil. But over the past five years, I’ve been using basil to do more than make my food taste great – it offers some amazing healthy benefits – and it also prevents and repels mosquitoes. 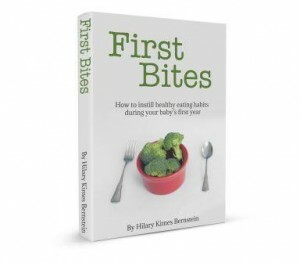 Place a handful of fresh basil leaves into a glass measuring cup. Pour one-half cup of boiling water over the basil. Let the leaves steep for two to four hours. Squeeze the basil leaves to get out as much of the liquid as possible. Pour the infused liquid into a spray bottle. Add ¼ teaspoon essential basil oil if you'd like to increase the potency. Add one-half cup witch hazel or vodka to the squirt bottle. Shake gently to mix the contents. 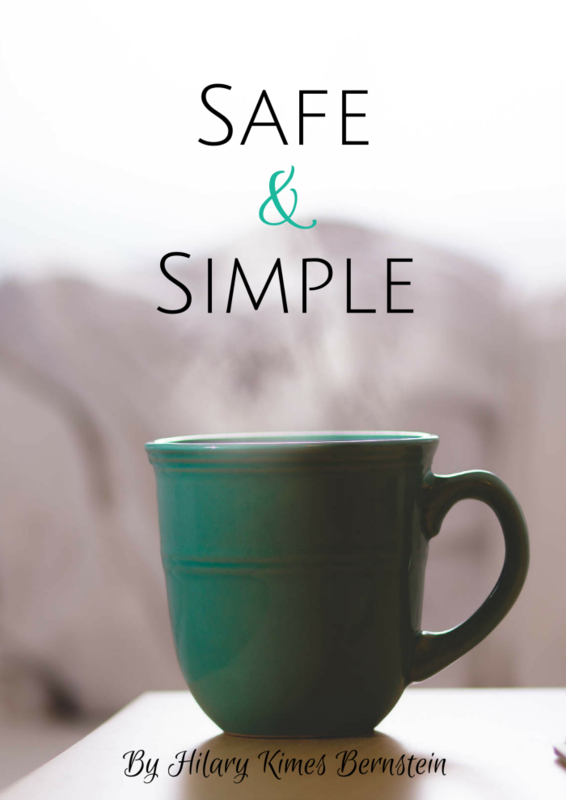 Apply this all-natural insect repellent by spraying it on your skin. 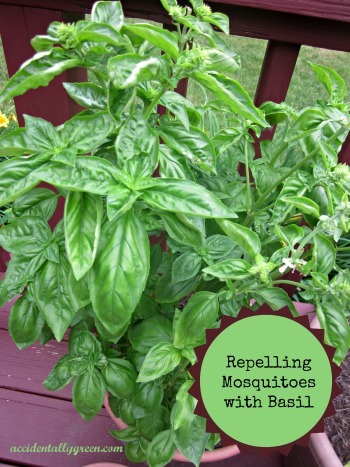 Be sure to spray it where you’d like to repel mosquitoes … they may end up biting on skin that’s not coated with the basil mixture. 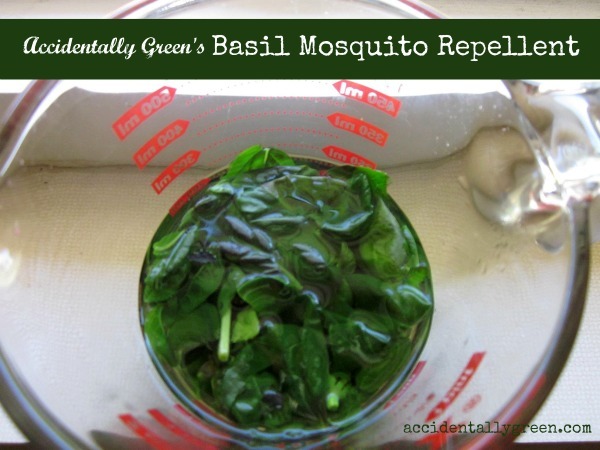 This repellent recipe is easy – but I have six other non-basil mosquito repellent recipes that are far easier in my eBook, Repelled: Accidentally Green’s Guide to Mosquito Prevention. Disclosure: Affiliate links are included in this post. 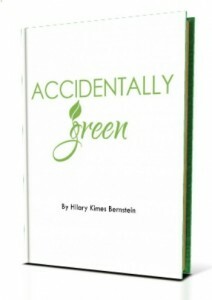 Purchasing items through this post results in a commission for Accidentally Green. 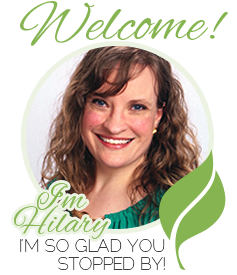 Thank you so much for your support of this website! Just wondering why mosquitos would end up biting skin that is not covered with the spray. If you have sprayed all around, would the mosquitos not be repelled by the surrounding skin emitting the basil fragrance even if you missed a small bit of exposed skin? Typically yes … I do think the mosquitoes *should* be repelled. When I tried the repellent during a bonfire, though, I noticed that I was getting a few bites on areas that weren’t completely covered. The mosquitoes were really thick, though, and biting other people who had chosen DEET repellents.